Whisky is an alcoholic beverage obtained from the distillation of cereals such as wheat, rye, barley, maize or malt. This yeast is traditionally aged in wooden barrels. Each type has its particular whiskey manufacturing process, in the case of “blended” includes a mixture of different strains of whiskey. By contrast, single malt whiskey is distilled from a single type of yeast. There are other types of whiskey mostly from Europe. Scotch: Also called Scotch is a whiskey distilled in Scotland only. It is one of the most renowned whiskeys in the world, with hundreds of brand name and tradition. Due to the need to maintain the prestige is that there are very strict regulations, such as forcing a distillate in oak barrels, within the country, for a period not less than three years, and the express prohibition of substances incorporated into the mixture as colorings or flavorings. Curiously also be required to achieve a minimum of 40% alcohol in the mixture. Irish Whiskey: Commonly called Whiskey, the fundamental difference is the way it sounds and is written, because it comes from the land of Ireland. Occurs distillate based on fermentation of barley, and is very common in the triple distilled them. A perfect example is the Jameson Whiskey. Canadian Whiskey: With clear influences Irish, this whiskey is characterized by a soft body and delicate flavor. Usually a mixture of grains of barley, corn and wheat, but sometimes also include rye. Scottish tradition inherited from the mandatory minimum of three years of aging, but does not specify that the container material should be. Welsh Whisky: Strongly related to Scotch whiskey, recently acquired recognition thanks to some local brands and quality processes to deliver a first class product. 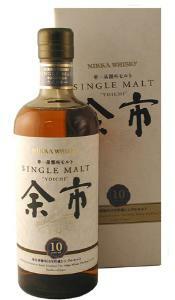 Japanese Whisky: Much less known than the Scotch and Irish whiskeys, except in circles educated on the subject. Your Orgien goes back to the late nineteenth century. The government of the time was recording with high taxes on imports of traditional whiskey, causing prices to rise to a level prohibito, except among the wealthy. This led to local producers to develop their own whiskey, with important influence in Scottish manufacturing methodology. Strong-willed and powerful taste, exists in Blended and Single Malt varieties, and is a high quality product, which is little on the market because it is mostly consumed by the local market. Indian Whisky: It is produced from the distillation of molasses ferments different, so it is most often associated with the rum. Currently have begun to occur based on the malt and other similar grains. 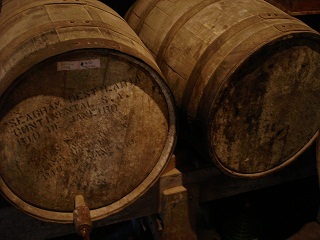 Most sub-European varieties have a profile based on Scotch whiskey, usually being pre-processed products, which are transferred for further aging.